Ready for some crafty fun? 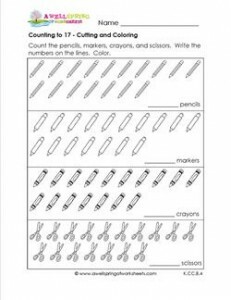 Have kids count the pencils, markers, crayons, and scissors in this counting to 17 worksheet. Then draw a picture on the back!